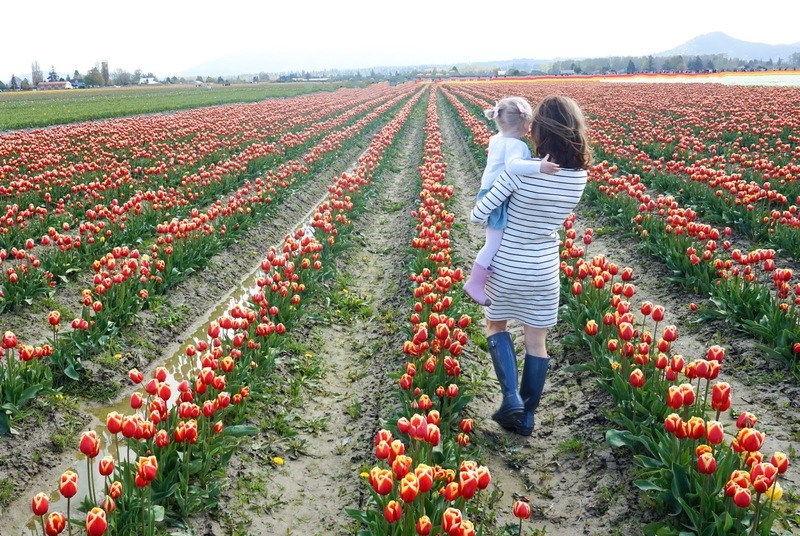 Zigging and zagging muddy puddles to hunt down every color of tulip was truly great fun! Last Sunday, the forecast was set for overcast and exactly what I wanted. Why? Well, I had planned on taking a ridiculous number of photos because, as you and I know, that’s just what us mom’s do. Once we arrived, however, the sun decided to take over and it ended up being clear skies and 75 degrees! 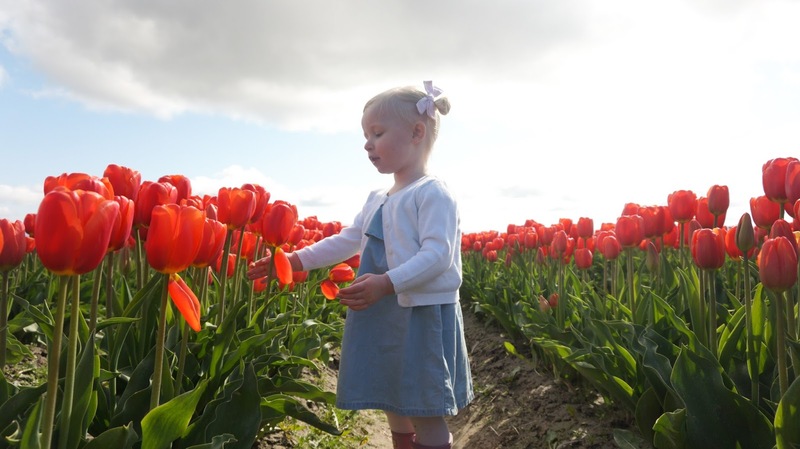 A beautiful warm day to ooo and aww over rows upon rows of tulips. Gorgeous time to be out! Although for photography, beaming sun rays created a major challenge. 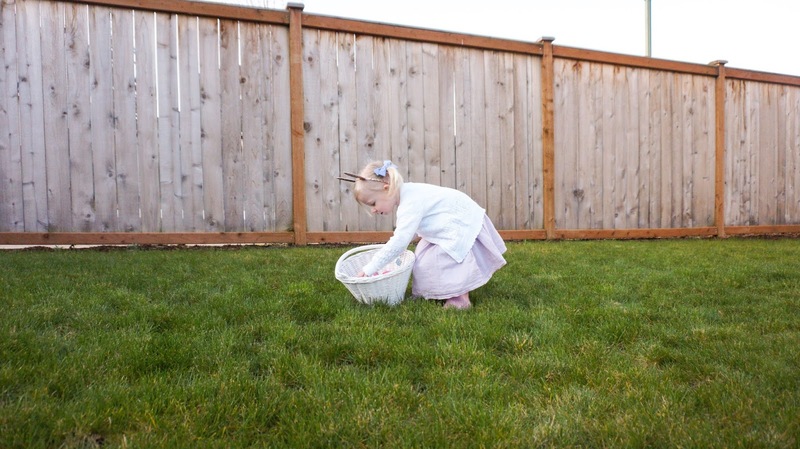 At first, I was a bummed since my mama heart was ready to snap away and capture clear and colorful photos of my family. So Instead of giving up, I challenged myself to get creative and dig into my photography box. I am by no means a master on photography as I'm constantly adjusting and learning new things all time! 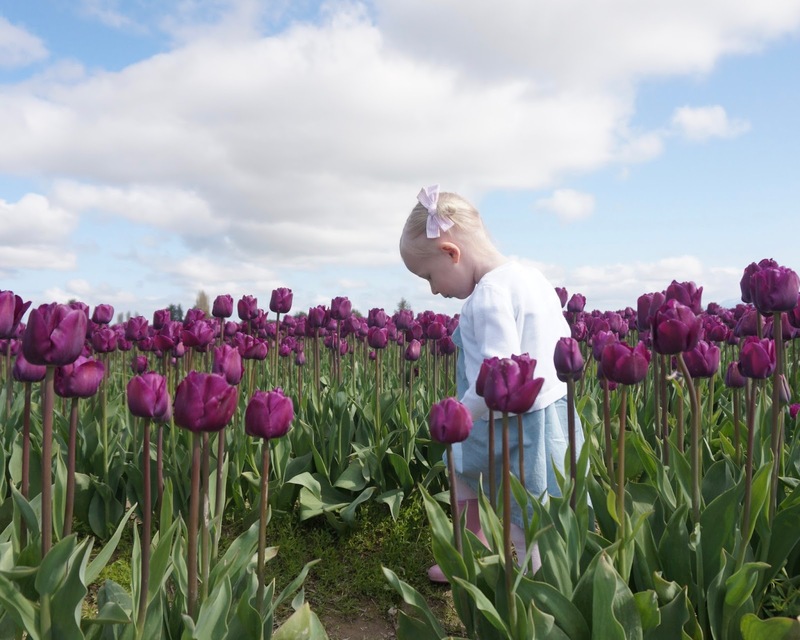 I just really enjoy the learning process, so I'm happy to share as we all want those beautiful images of our children! After getting questions on my photography through DM's over in Instagram, I knew putting this blog post together would be relevant to so many of you. 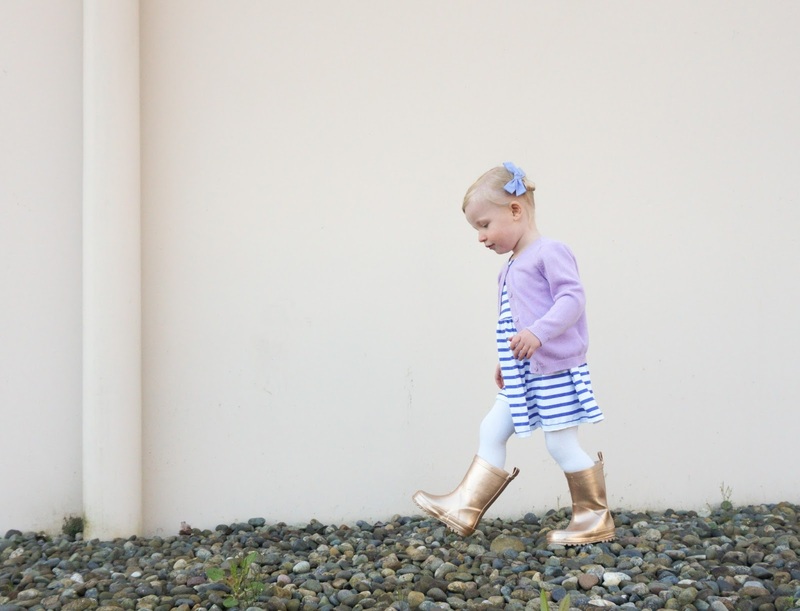 Helping another mom out is what this blog is all about. 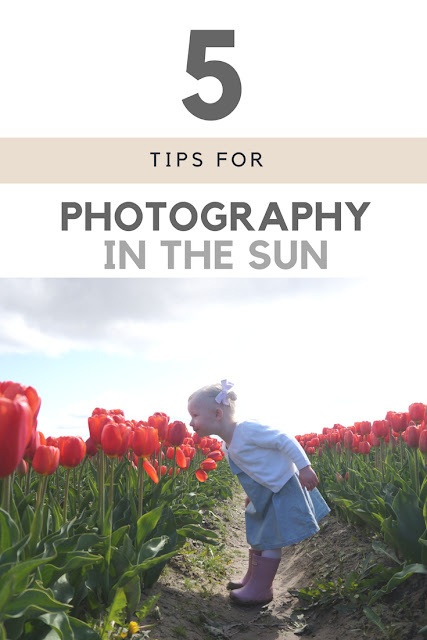 So below, I complied my research and experience from last weekend to share with you today on 5 general tips for taking photos in the sun. Try changing your position at least twice. By doing so, you’ll find where the sun light hits your subject changes too. I have found that by letting the sun hit the top or side of my subject brings in a sense of emotion and or wonder to the photograph. Move your subject into the shade by directing them to go up against a building or bush. Just by looking around you, I’m sure you’ll get really creative on finding a nice little shade spot. Here, Abby and I got on a low level so that both of us would be in the shade. Think outside the box. No shade spots? Position your subject in front of the sun. By doing so, this will create a soft halo of light around them. Whereas if I had Abby face the sun, you’d see squeaky eye’s and a washed-out face as shown below. 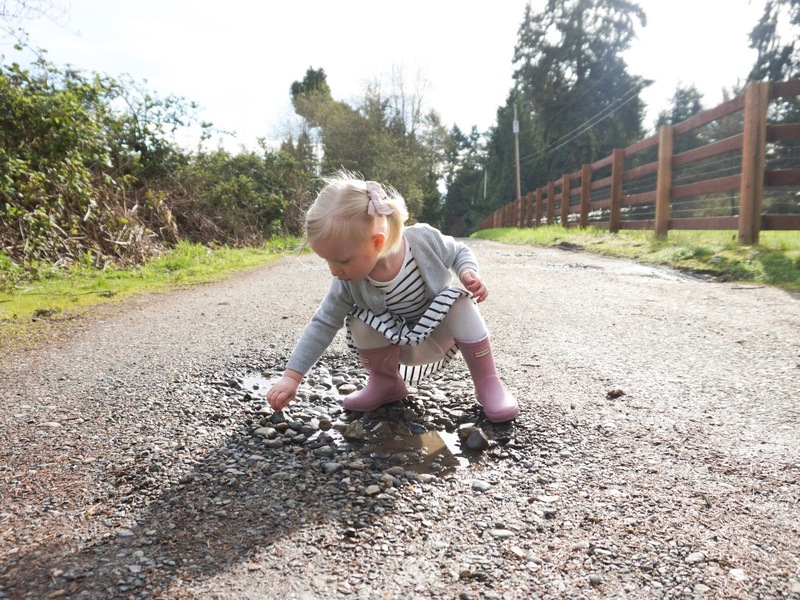 I know with little ones, this can be challenging. So, if your spouse or a family friend is nearby, ask them to hold your child. 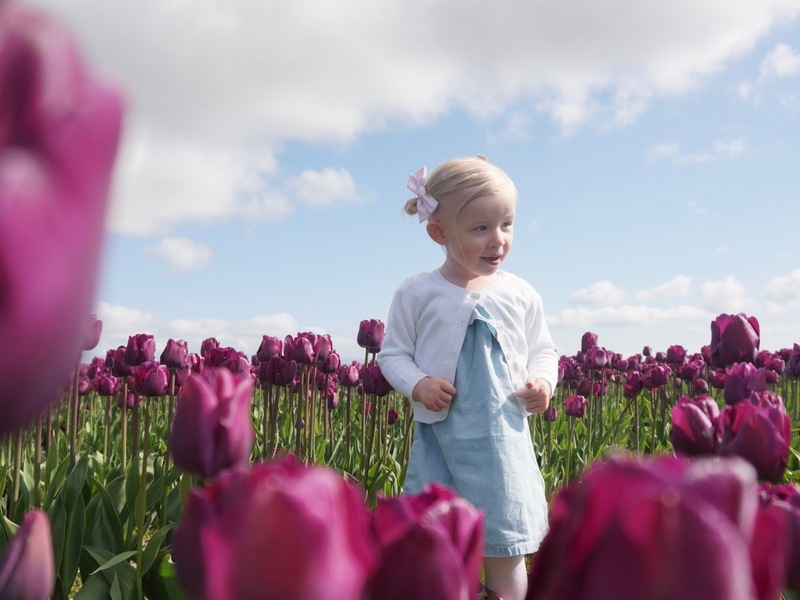 By being patient, I ended up getting even amount of light over Abby as she played in the tulip fields. For this photo, I had already positioned myself to face the sun, so a soft halo of light was beaming around her. Then, when I noticed a cloud was passing over, I snapped away! Sometimes there’s nothing around you, such as the case for us on this particular day. So we created our own shade! We did this first, by having Steve hold Abby and face away from the sun. Then, I asked him to place her directly in front of him so that his entire body casted a shadow over her. The result, was even light over both my subjects to the best of my ability. 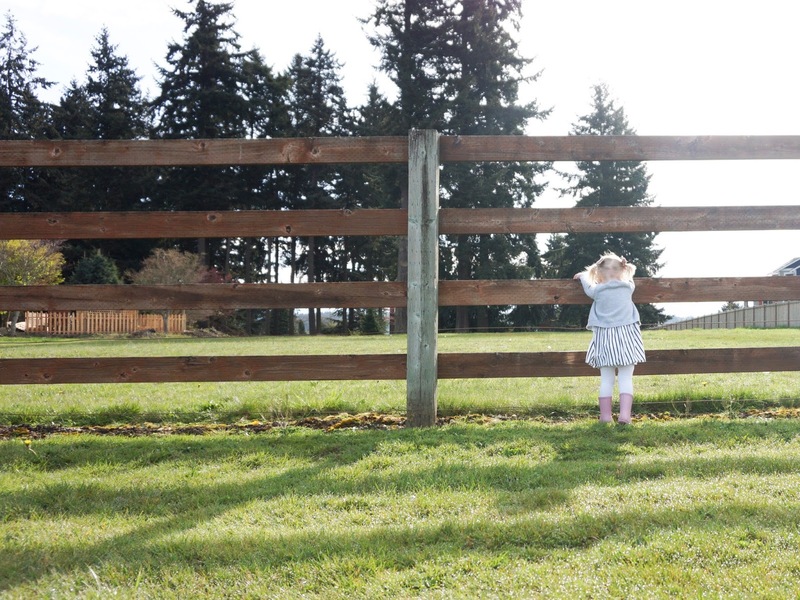 I hope the next time your outside, these tips help you capture a few photos of your own children! 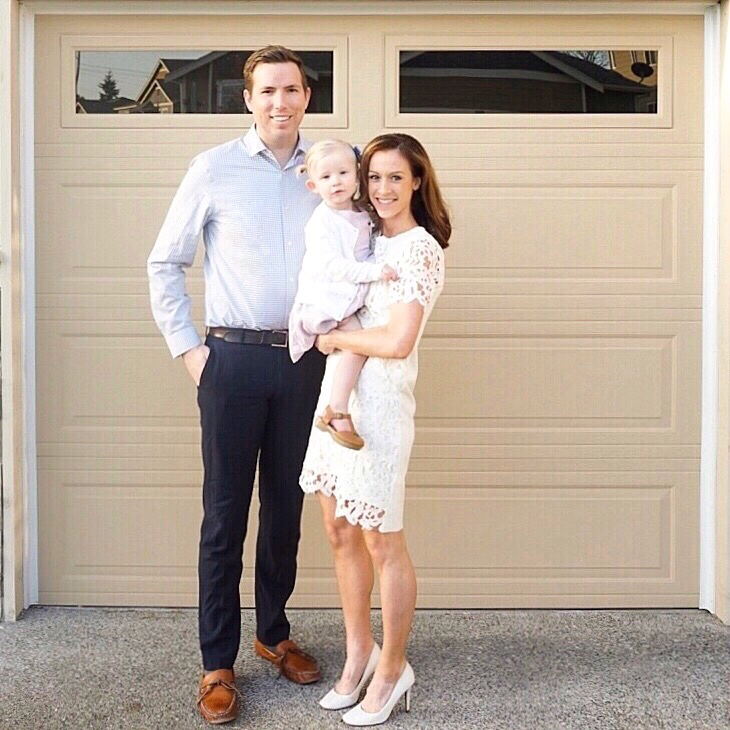 It's truly not an ideal situation to take a photo right under the sun, although like many of you, I'm determined to not let the beautiful sun rays keep me from documenting our time as a family together. 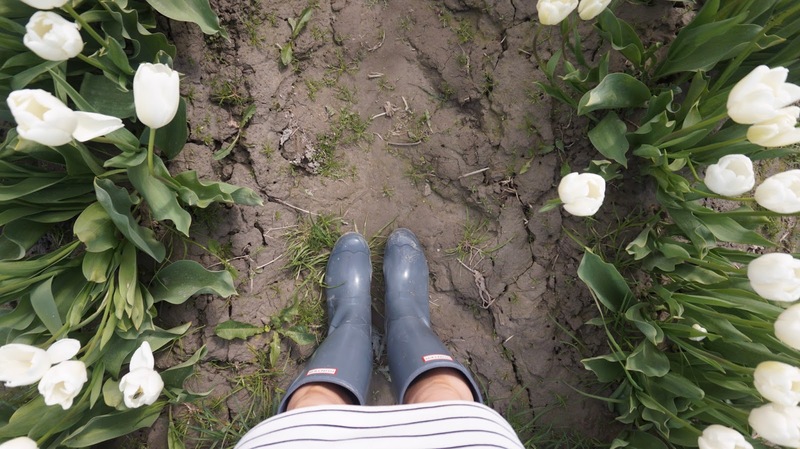 Here we are in the middle of spring, with every toe snugged into a pair of rubber rain boots and sunnies over our eyes. 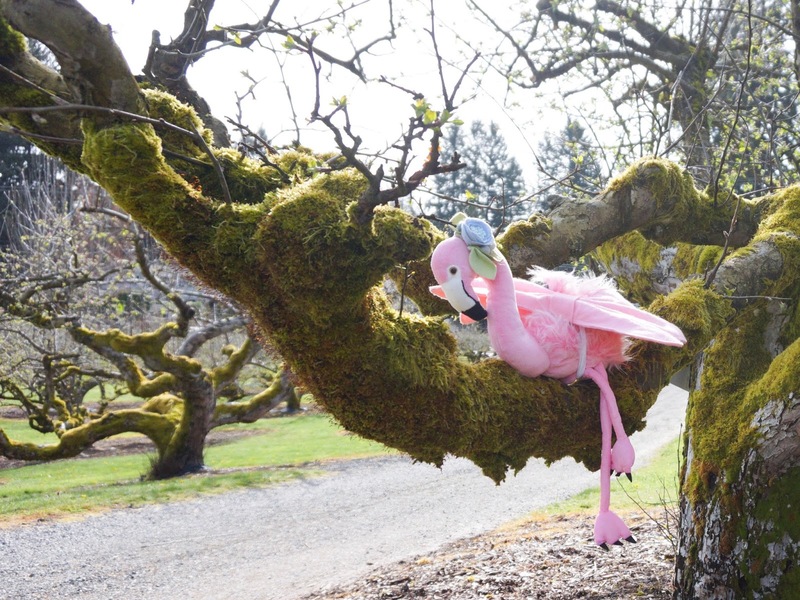 Lately, it's been delightful to see spring come out and play! Yet at the same time, on most days, we just don't know what to do with ourselves since rain buckets fall around the clock. Even when a few rays of sun decide to peak through, we often find our hands tied. 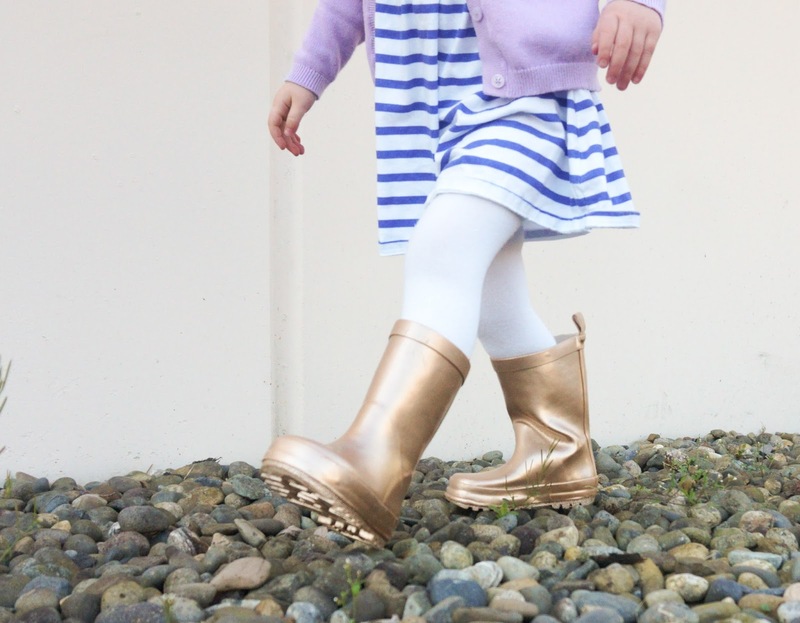 So much so, we are constantly switching back and forth between rain boots and sunnies, and finally this week, we just combined the two. 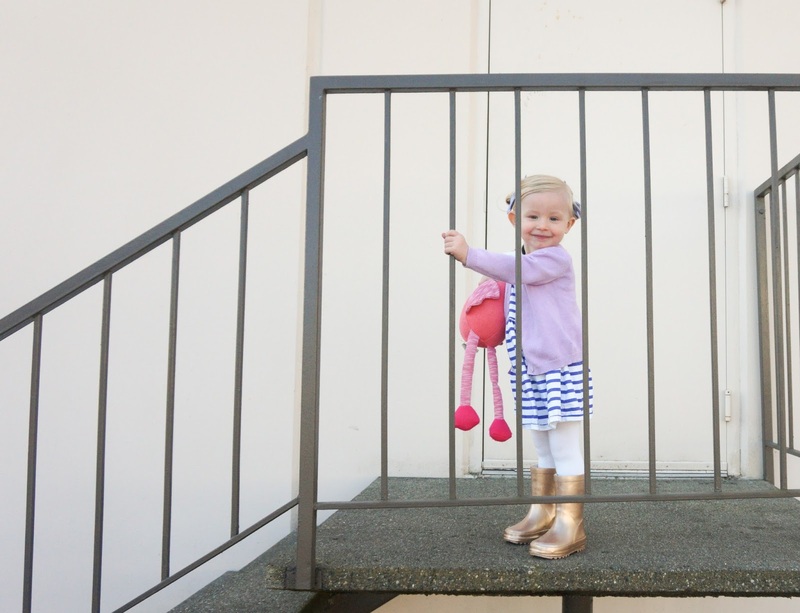 We are also pulling pieces from Abby's winter and summer wardrobe to create "a spring style." 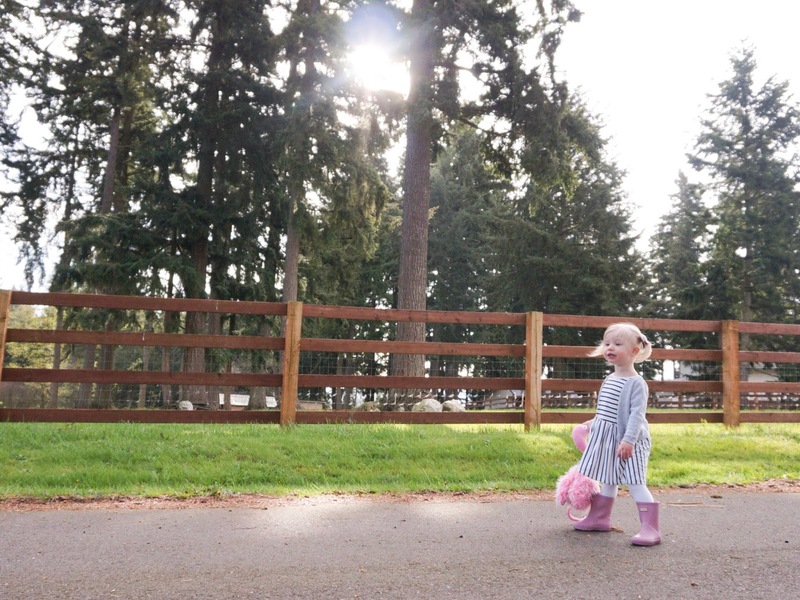 This is what today's post is all about: sharing ways I've been forward thinking when dressing Abby for the spring-ideas which have helped me keep clothing purchases down, while at the same time staying stylish. I am a girl mom after all! Since over half of you asked for a "Spring Style Guide" from this week in our poll over in Instagram stories. I'm really excited to finally share what I've been doing subconsciously every day. Which is, digging into Abby's closet and getting creative on filling the clothing gap between winter and summer. To break out those summer dresses earlier and if we're lucky, to keep a few winter dresses around, I tie the old and new items together with tights. 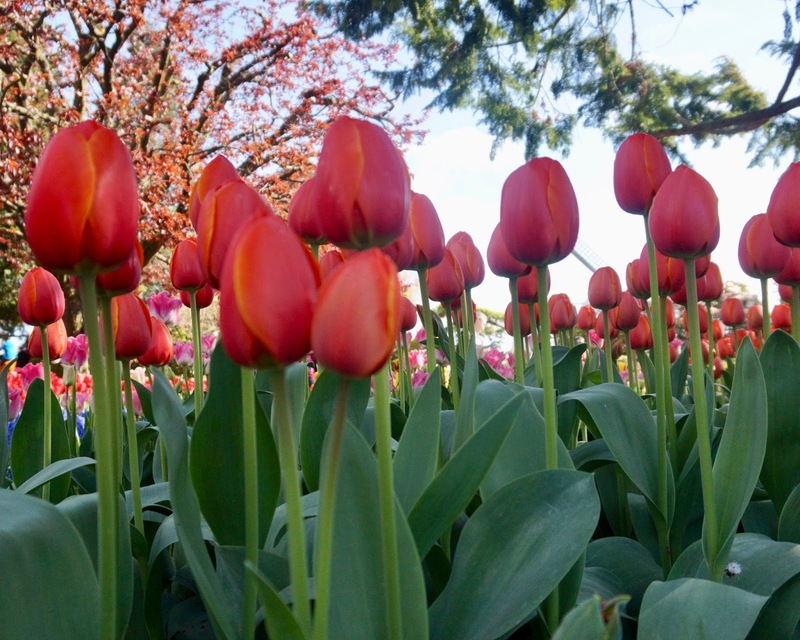 Spring is still very cold here in the PNW, as it is for many currently (p.s. sorry about all that snow most of you are having!). So by adding a few neutral colors of tights to Abby's closet I can stretch her wardrobe. I mentioned earlier on the blog how much we love these H&M tights. What Can A Dress Do? 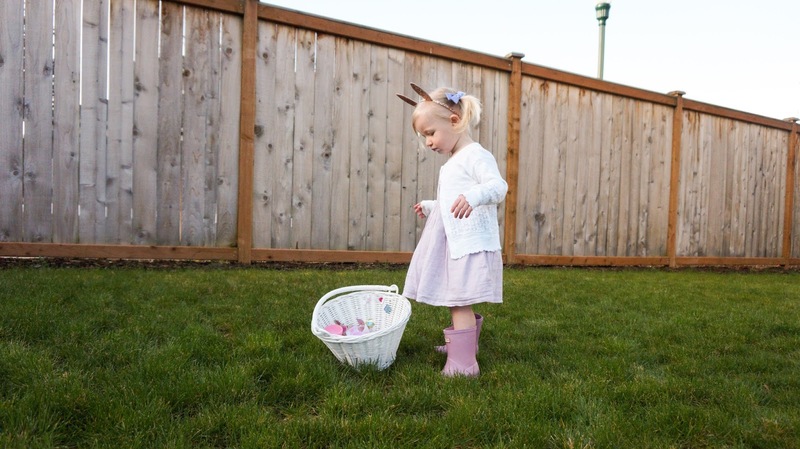 Earlier this year, I also mentioned that I like to purchase things which can be versatile for other occasions and season's, such as I did here, for Abby's Easter dress. 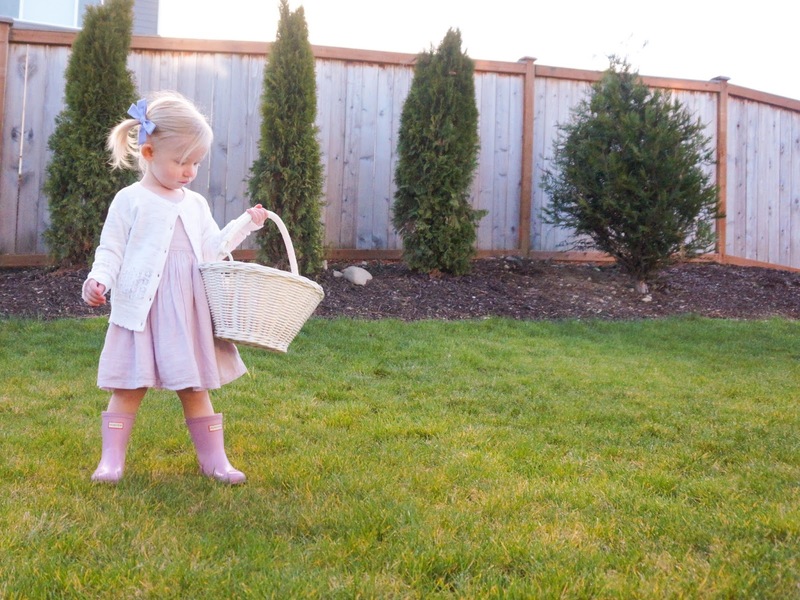 We've been currenlty pairing her summer dresses with sweaters, though as soon as the weather warms up, no sweater is needed. So a "spring" dress, needs to be short-sleeve or sleeveless to make it in our cart. I've been pulling a few short sleeves blouses from Abby's summer sets lately which I purchased over President's Day weekend (amazing deals everywhere during any holidays p.s.!) Doing this has allowed me to get more out of Abby's winter and summer wardrobe just by combining the two. For example, I've used this set here about once a week, while keeping the shorts tucked away in her closet. We also have this one and this one. 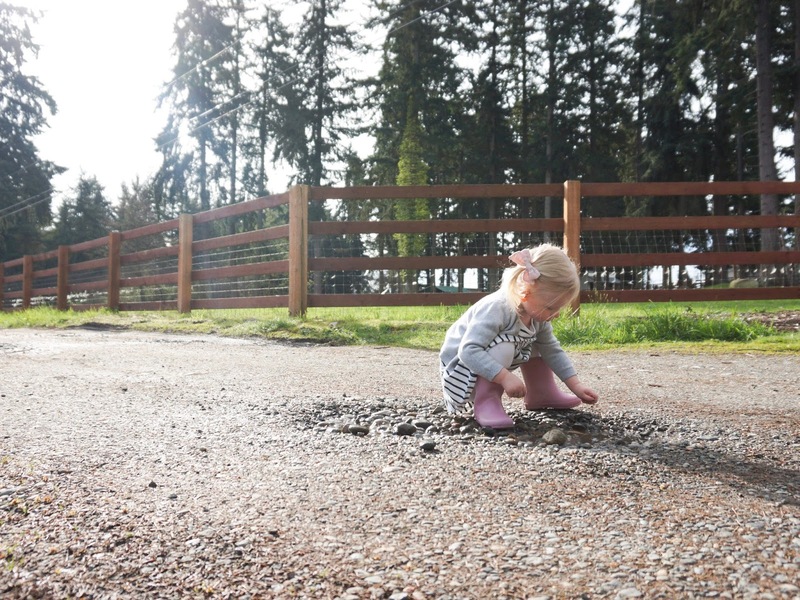 April showers and livening in Pacific Northwest. Do I need to write another sentence after that one? 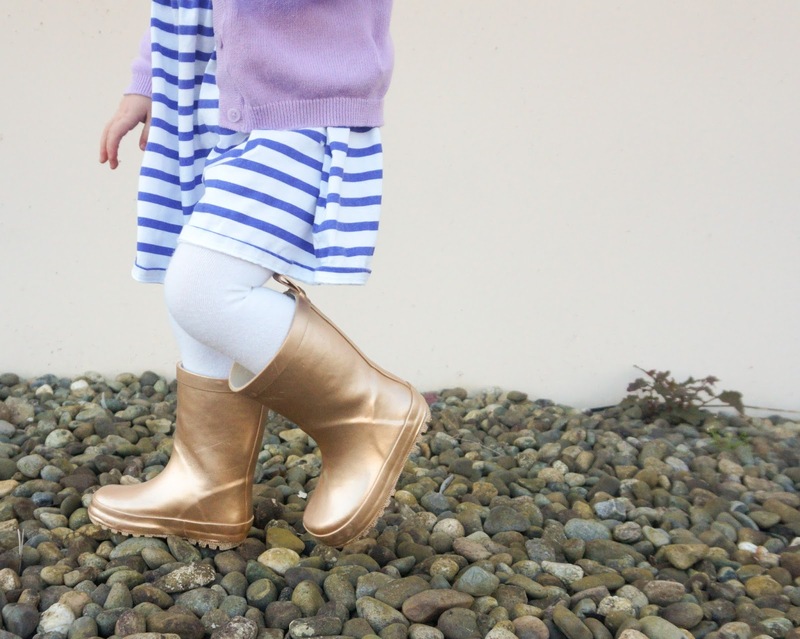 : ) Many of you comment over in Instagram how much Abby loves her pink hunter boots (yes, she's obsessed) though I recently discovered a few new brands which I listed here for you below. We plan on trying a few of these this fall. Button-up sweaters are another favorite item I like to use for tying together old and new pieces. Since I can easily switch one for another. Why and how you ask? Well, when Abby spills on herself, takes a nap or the temperatures rise in the afternoon. 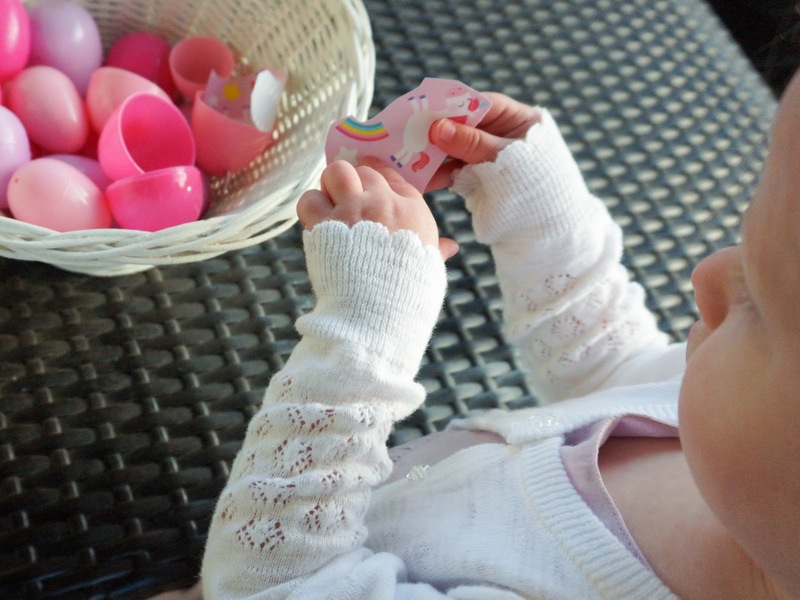 I don't need to unclip her binkie and pull a bulky sweater up over her head while also messing up her pig tails. Instead, by having just the top button clasp at the top of her sweater, I can easily switch one sweater to another. 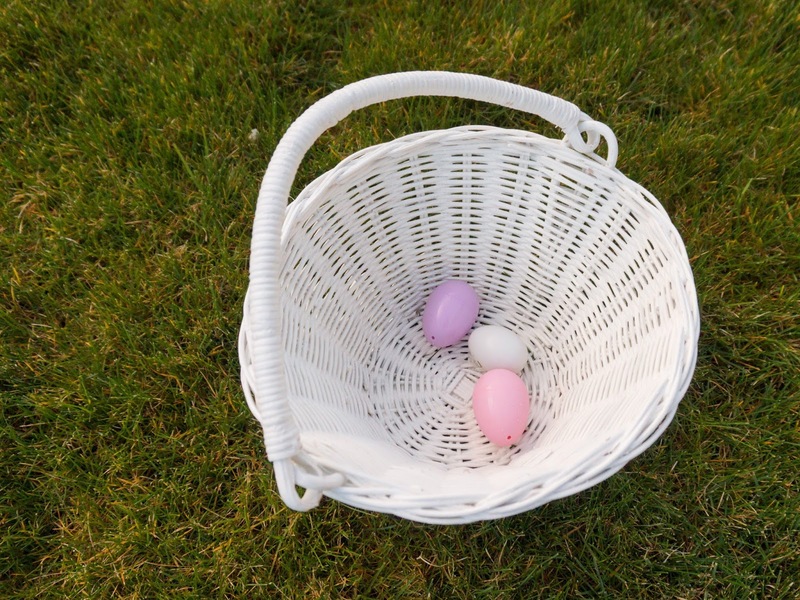 It feels practical and simple to do while we are out and about or at home. Plus, the girlie side of me is glad I don't have to keep fixing her hair! 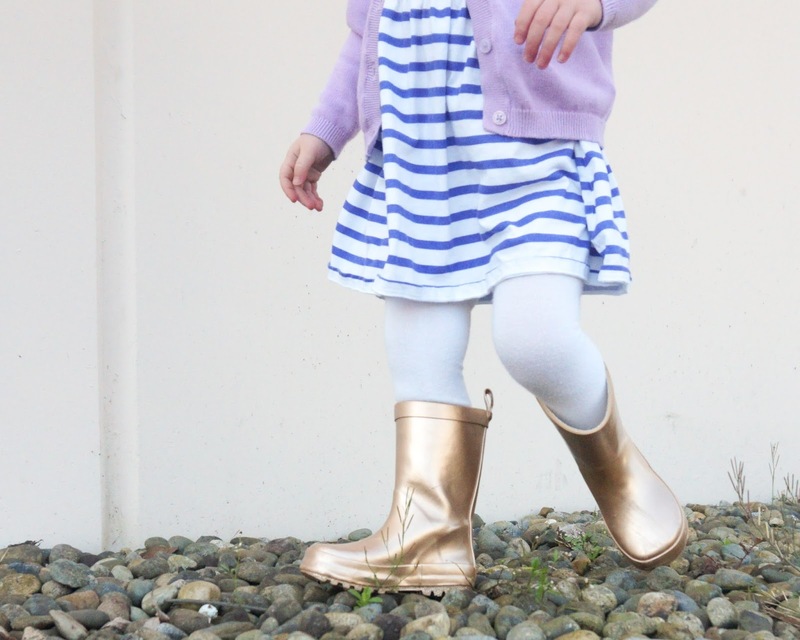 I hope this post helps you to stretch your little one's wardrobe until summer! Make sure to check out my instagram stories this Sunday as I'll have another weekly poll. It's always so wonderful to hear from each of you! 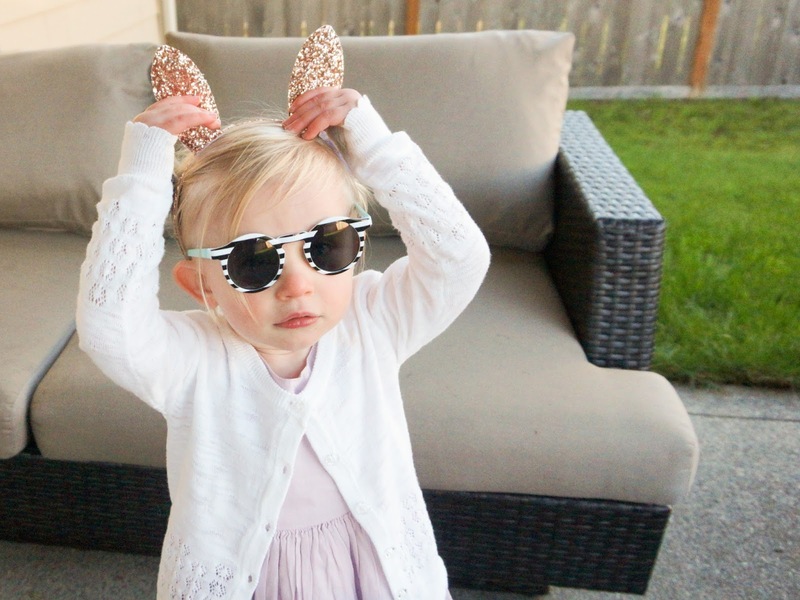 If you liked this post you might also like our girl toddler favorite finds located here. 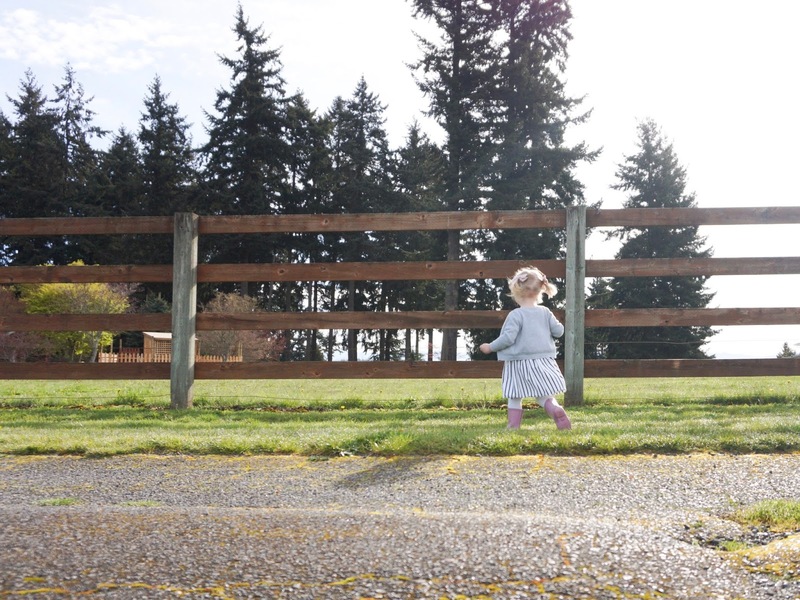 It's no secret over on instagram Abby and I get out everyday. So yes, our girly adventures tend to unfold naturally. We are able to see and do a lot since we have a strong bond between us and understand each other. A schedule certainly helps, but there have been a few things here and there I've consistently used to help teach Abby, about expectations. 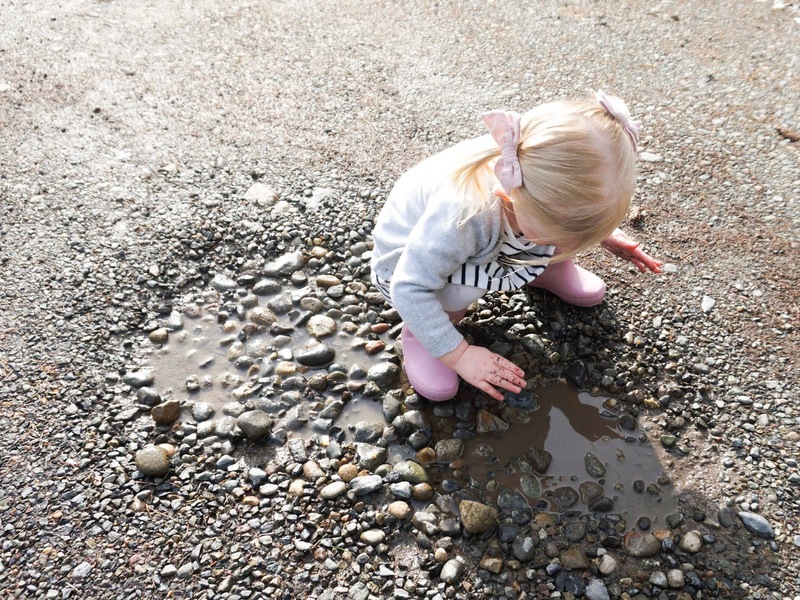 After 60% of you voted on toddler tips, I thought this post would be helpful to many of you. To recap those polls, 56% vote on raw motherhood and 45% voted for inspirational. 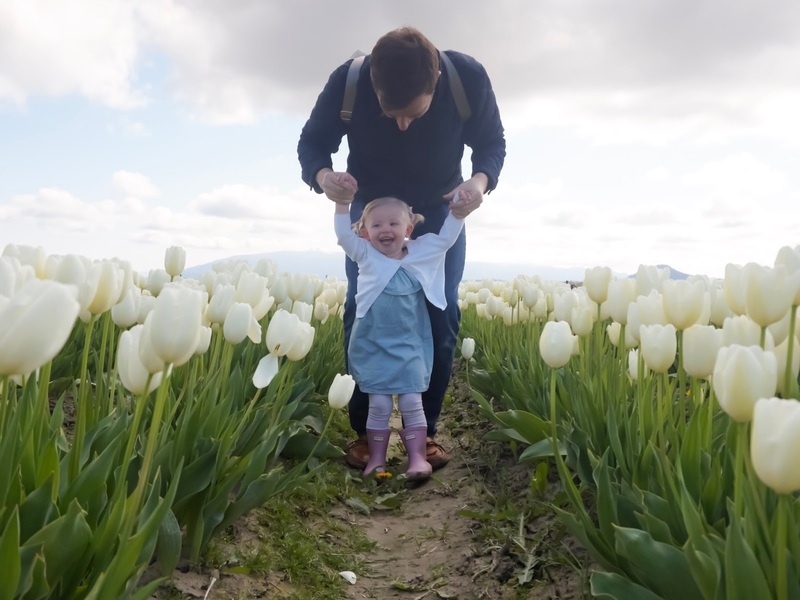 I decided to pull the two ideas together, by discussing what toddlerhood has taught me this past year (Abby turns 2 in only 2 months!) After all, sharing how I raise my daughter (even to a tiny degree), is a bit intimating! There are so many different ways we can parent and we all do things differently, which I respect. 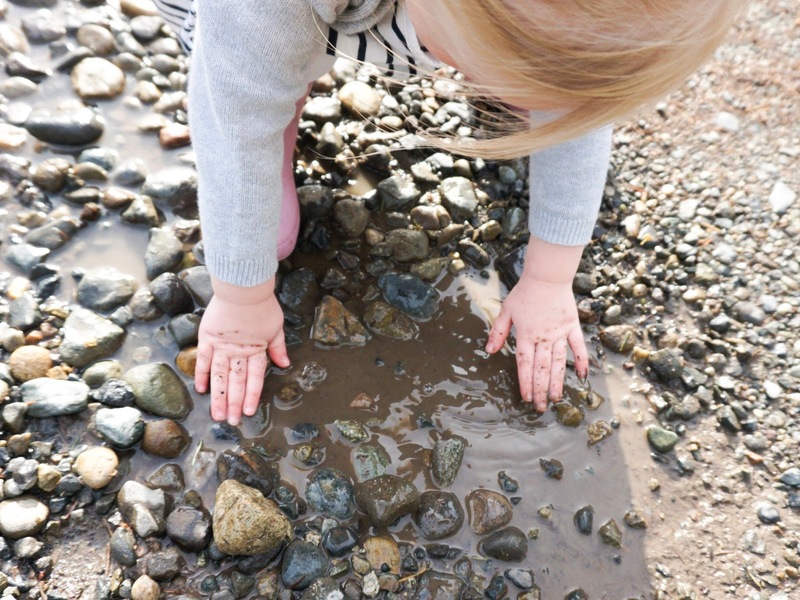 So here I am today, about to open up my own parenting box and share with you a few things in which I've learned over the past year about toddlerhood. Weather you have a toddler now, or you will have one in the near future, please know that I'm not a parenting expert by any means! I've just used some of my own training and experience from teaching K-12 about setting expectations and practicing positive reinforcement. Positive reinforcement meaning, I want the good behavior to be demonstrated again! 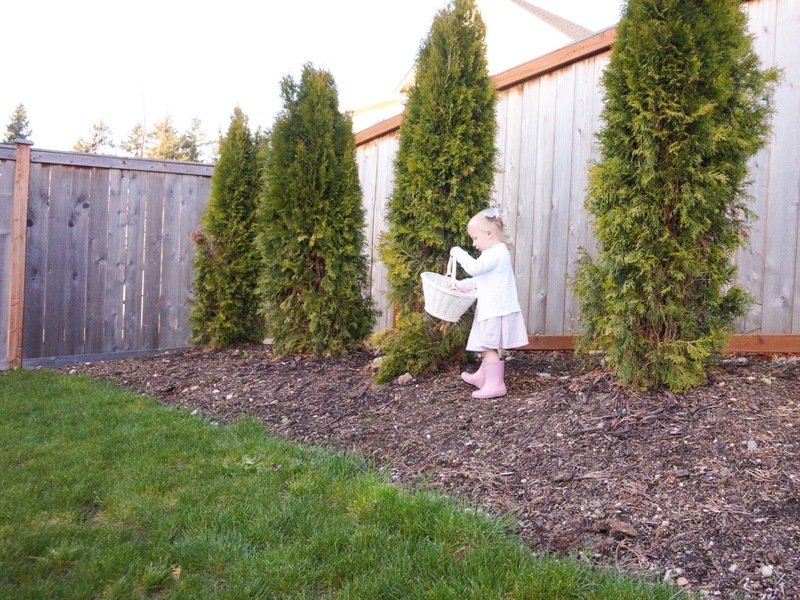 These tricks of the trade in teaching have helped ME get out and about with Abby. 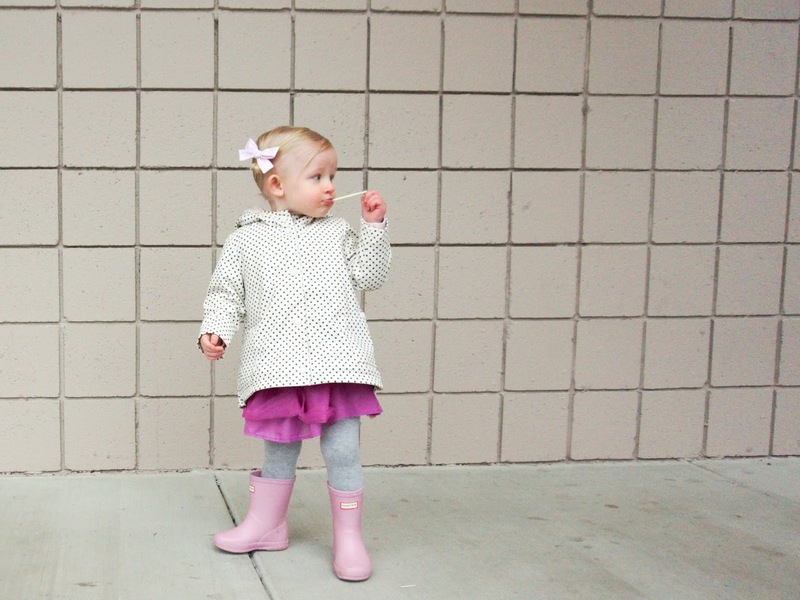 So here are 6 things, I have learned about toddlerhood. I have found that when I make an effort to connect with Abby from the moment she wakes up, our mornings are always smoother. For example, I make eye contact with Abby in her crib, read a book, and or play with her on the floor. This way she feels seen, heard, valued and loved. 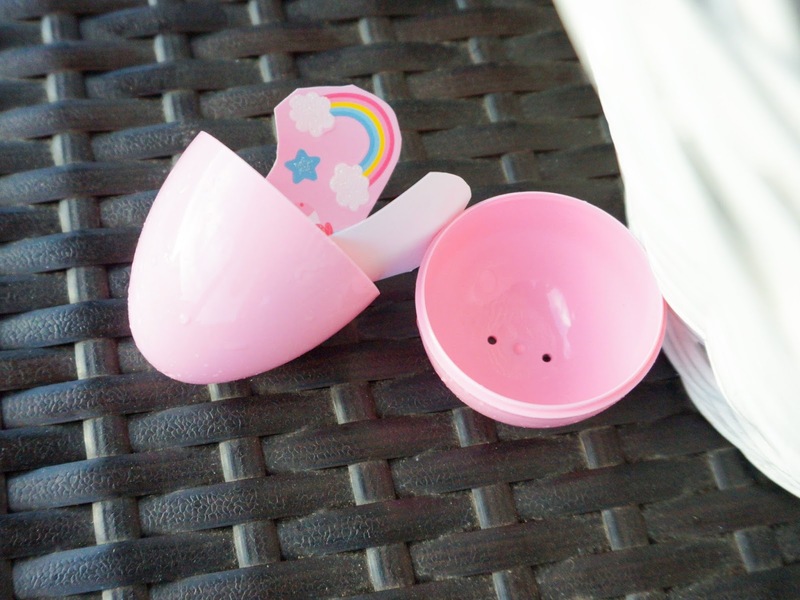 I believe all humans general want these things and not just my toddler. All of us want our lives and presence to matter, so I make sure to "connect" with Abby bright and early in the AM. When we are at Trader Joes, Target, or Whole Foods Abby always wants to touch whatever it is I'm touching. She basically wants to shop with me since this is what she sees me doing. So I let her. Just this past week I handed her an pear and told her what it was. A good teaching moment and one that makes her feel part of the grocery shopping process. I also try to go grocery shopping in between mealtimes so that Abby is eating her snack in the milk snob cover. I have found snack time in the grocery chart is golden. Snacking keeps her busy, and keeps her happy. I borrowed this next tip, from my experience in classroom management; setting her up for success before we even move. How? I first explain to her and then show her what I expect, followed with a compliment for demonstrating the right behavior. Almost every parent does this naturally when teaching our little one to hold our hand and look both ways before crossing the street. Just like teaching, "look both ways before you cross the street" concept, I tend to always take the three-step approach of 1) showing, 2) leading, and 3) complimenting good behavior. For example, I used this to teach her how to place a sippy cup down, put books away and getting her to "wait for me" or hold still. For Abby and I these three steps have worked wonderfully. I have found this one to work extremely well when we need to leave a place. At the playground for example, I tell Abby she has 3 minutes, 1 minute and 10 seconds left. I know a toddler like Abby has no concept of time, but it's the language that she's starting to pick up on and soon the rest will follow. She is starting to recognize what mommy says before we leave. And I'm consistent with it. 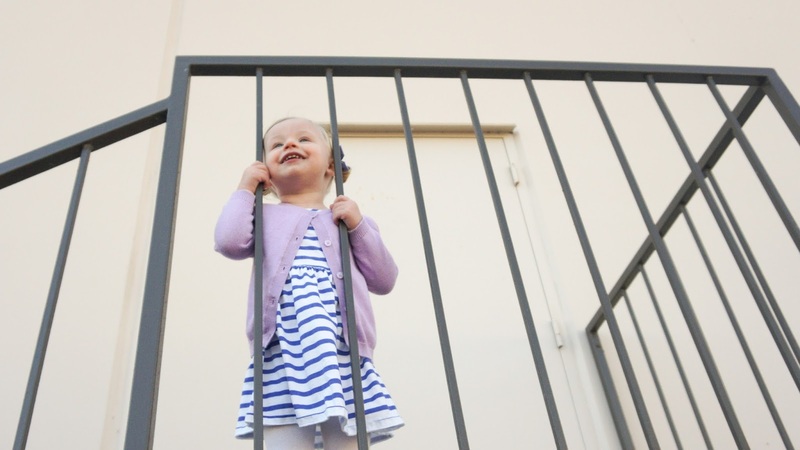 When it's time to say, "bye-bye slide" and wave, I actually do and say these things. Much like teaching her how to hold my hand while we walk across the street. 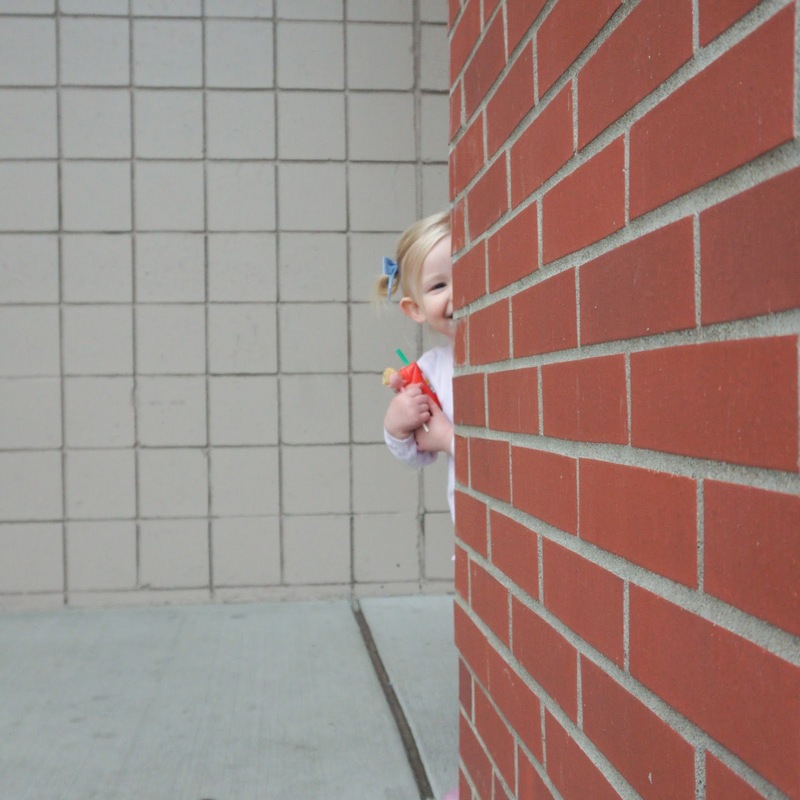 I don't ever get a kicking and screaming child leaving the playground because she has been able to transition from fun time at the park, to we're about to leave, to actually saying, "good-bye" and waving. 6) There is no "right" or 'wrong" way to parent. 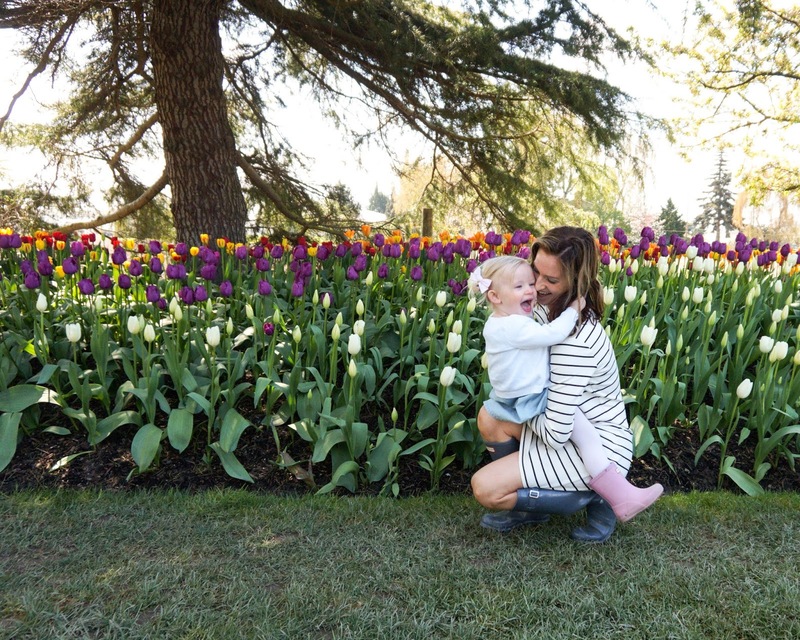 I write this blog post knowing that what I have to share and give to the motherhood community is not the only way to go about raising a toddler; they are just ideas that have worked for Abby and I. We are all uniquely made with a different back story to our lives and we all have a different future ahead of us. I know the term mom shaming has recently been brought to light in the media this past year, and although yes it is very real and happens so often to all of us. At the end of the day, we are all doing life differently. Thank you everyone for taking the time to complete my three question poll up in instagram stories as it really helps me serve you better. I plan on continually getting feedback from you each week! Go ahead and pin this post below so that you may refer back to it later, and if there is anything you would like me to expand on, please feel free to comment below! We are still in sugar overload mode here as I stopped counting the number of tantrums by lunch. Or, maybe I stopped counting when over a dozen strawberries forcibly flew and then tumbled across Trader Joe's floors in all directions. After that, does it really matter to keep a tally? 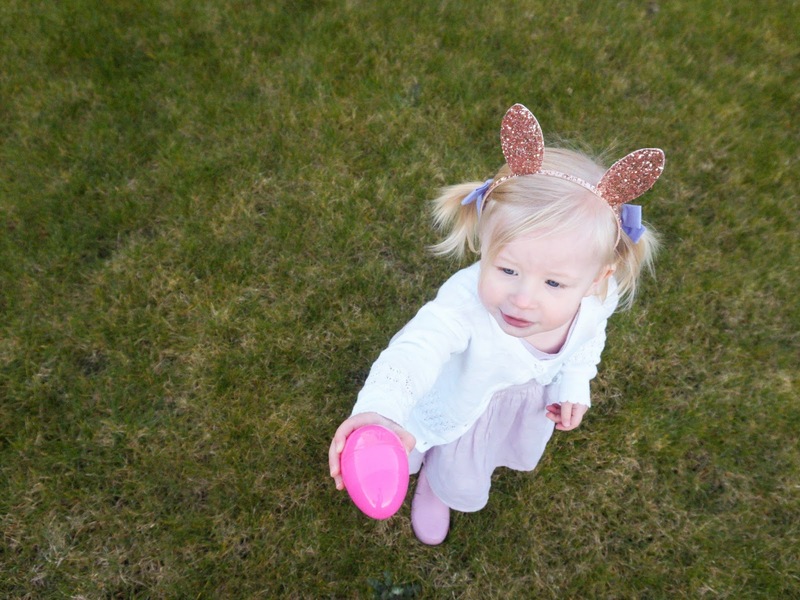 Like all parents, we delighted in watching Abby run after 31 magical filled plastic eggs. 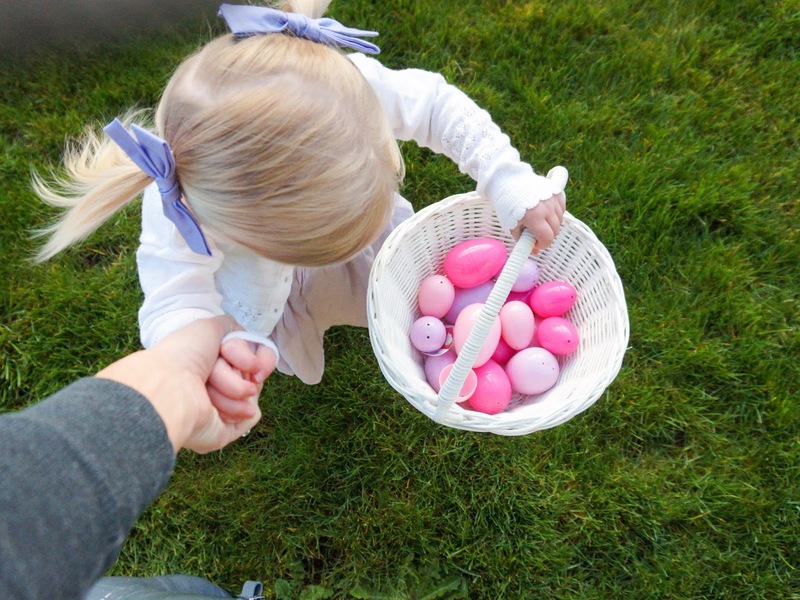 Thanks to our teamwork (me filling the egg's with stickers and Steve's hiding skills), our little one experienced her first egg hunt! It was the bright spot of our day. 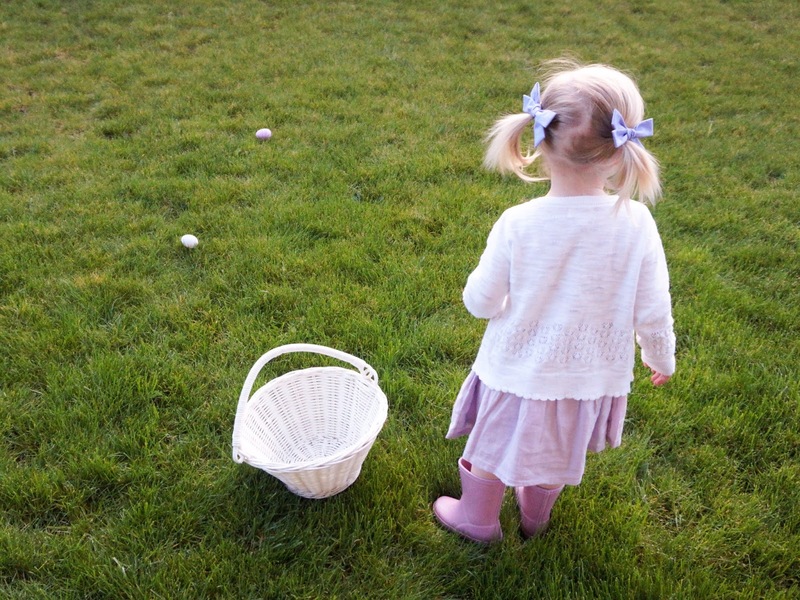 So much so, I thought I'd share a picture story of our postponed morning egg hunt turned sunset, Why? The beloved Pacific Northwest likes to gift us buckets upon buckets of rain while celebrating our savior. 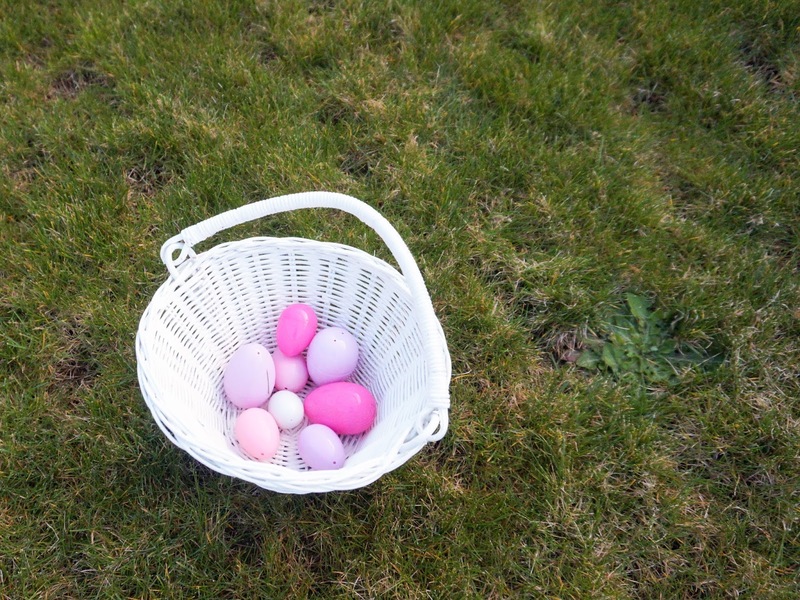 So here is our sunset egg story. In photo's. Looking back on the day, I can now say with a strong yes, the toddler sugar overload mode has been worth it. In some weird way, it really has. 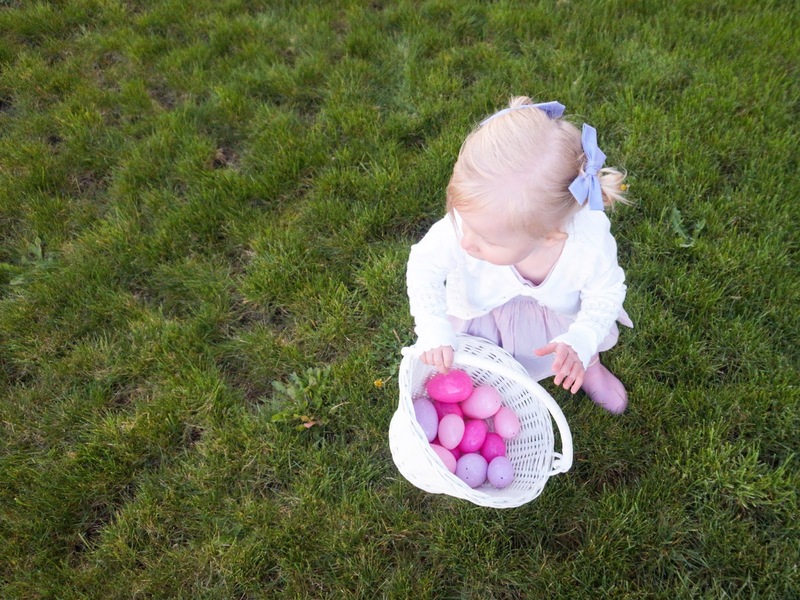 I hope each of you had a wonderful Easter filled with love and gratitude!